Have you ever wondered what is was really like to be a Police Officer? Maybe you considered a career in Law Enforcement earlier in life, but ended up taking a different career path. Maybe you are presently considering a career in law enforcement, but you're not sure it's what you really want. Whatever the reason, now you have an opportunity to experience first hand what a career in law enforcement would be like by becoming a sworn peace officer as a member of the Oneonta Police Reserve Unit. Your uniform and training are provided by the department. All you provide is the commitment of your time. The Oneonta Police Reserve unit is a volunteer organization designed to assist the Oneonta Police Department in the performance of their duties to the people of Oneonta. By remaining a highly trained, flexible, and motivated group, the reserve unit is able to augment the regular police staff at short notice whenever and wherever the need arises. The Oneonta Police Reserve members come from all walks of life, including: active military, management, maintenance personnel, architects, firefighters, teachers, managers, and students. All members have completed the Oneonta Police reserve training program in addition to 320 hours of observation with a field training officer, and keep current with annual basic skills training as required by the department. Many reserve officers have also received further specialized training. After a recruit completes an initial 40 hours of classroom instruction on topics such as: Duties and Responsibilities, Public Relations, Criminal Law & Liability, Vehicle Stops, Mechanics of Arrest, Police Communication, Report Writing, First Aid & CPR, Traffic Direction Firearms, Use of Force, Defensive Tactics, Taser Certification, OC Spray Certification, and Narcotics and Dangerous Drugs. After completing the required classroom instruction and passing all test and certifications they begin working with more experienced Field Training Officers. A minimum of 320 hours must be completed in this manner before a recruit can work with a regular police officer. -Must have a high school diploma or G.E.D. equivalent. 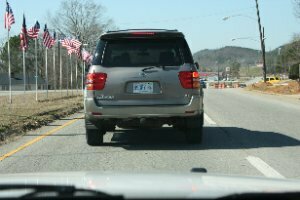 -Must possess a valid Alabama drivers license. -Must have a clean driving history. -Must pass a criminal history check. -Must be a United States citizen. -If you are a male you must have registered with the selective service. -Past three employers with dates, addresses and job title. -Three character references with addresses, phone numbers and years acquainted. After you have submitted an application, your application will be reviewed. If your application is selected as a possible candidate, we will perform the required background investigation and the candidate will be called for an interview with the officer in charge (OIC) of the reserve program. Level 2 of the interview and selection process consists of an interview with the Deputy Chief and/or Chief of Police. Level 3 of the interview and selection process consists of the physical agility test. Currently the physical agility test mirrors what is required by the police academy. The candidate will be required to complete a 1.5 mile run in 15 minutes and 28 seconds or less. The candidate will also be required to complete a minimum of 20 push-ups and 25 sit-ups within one minute. The candidate will then be required to qualify with a department approved handgun, supplied by the candidate. The candidate will be required to shoot a minimum score of 70% on the APOST course of fire. Once all levels of the selection process have been completed, an applicant will be accepted into the reserve program. The reserve officer will then be required to attend monthly training meetings. In addition to the monthly training meetings, reserves are required to ride a minimum of 24 hours per month to remain in active standing in the program. Reserves are expected to assist with events such as parades, ball games and any other assignments assigned by the OIC of the reserves. Reserves also are expected to be available for call out due to inclement weather. Reserves will receive unlimited and ongoing training in use of force, traffic enforcement, disaster response, self defense and many more aspects of law enforcement. While reserves are non-paid/non-merit employees, we feel that the training they receive is invaluable. If you have any questions or would like to speak with someone about our reserve program, please call the Oneonta Police Department at (205) 625-4351. The School Resource Officer Program is a collaborative effort by certified law enforcement officers, educators, students, parents and the community to offer law related educational programs in the schools in an effort to reduce crime, drug abuse, violence and provide a safe school environment. Our current SRO is Cpl. Keith Roddam. The Oneonta Police Department’s Field Training Program is intended to ease a police officer's transition from the academic setting to the performance of general law enforcement patrol duties of the department. In the case of a lateral officer, it will likewise facilitate the newly hired officer’s transition into the philosophy, policies and procedures of the Oneonta Police Department. Although an officer graduating from the police academy has received a thorough introduction to basic law enforcement classes, that officer cannot be expected to immediately function as an experienced officer. Newly assigned officers, whether entry level or lateral officers from another agency, must receive additional training in the field, where they can learn from officers who have already gained a great deal of practical patrol experience with the Oneonta Police Department. The Field Training Program introduces a newly assigned officer to the personnel, procedure, policies, and purposes of the department as well as providing the initial training specific to the day-to-day duties of its officers. In order to make the new officers' field training as effective as possible, they are assigned to a Field Training Officer (FTO). The FTO is an experienced officer, specially selected and trained to conduct this type of training. The FTO will thoroughly review the field training materials with a newly assigned officer and demonstrate proper patrol procedures. Probationary officers will be required to perform various law enforcement duties under the guidance and supervision of their assigned FTO and the Field Training Supervisor. The new officer will be evaluated daily by the FTO and monitored by the FTO Supervisor through weekly and segment reports. This one-on-one style of training, in real law enforcement situations sets it apart from any prior academic endeavor. Field training has a significant impact on the individual officer in terms of imprinting attitudes, style, values, and ethics in carrying out the duties of police work that will remain throughout their career. It is the most effective influence on the future direction of our department. The field training program effectively introduces officers to the department; not only to develop the necessary technical skills but also to reflect the ethical policing philosophy of the Oneonta Police Department toward the community we serve. The field training staff has the monumental responsibility of building the future of the department through the people they train. To assure success in this task, the field training program follows a training philosophy that ensures every new officer is given the maximum opportunity to demonstrate that they can do the job. The program creates a positive environment in which learning is maximized and in which students are able to perform to the best of their ability. The program is fair, firm, friendly, and, above all, professional. The professional and ethical standards of the officers we turn out must be beyond reproach. Evaluation is sincere and given in a straight forward manner, documenting the positive as well as the negative aspects of performance. At no time are probationary officers demeaned or ridiculed. New officers are treated with respect, dignity and compassion. Typically the training program lasts 3-4 months. Field Training Officers are some of our department's best officers. They are regular officers who work in the Uniform Division and who have two or more years experience. They have been selected from eligible officers who have expressed an interest in training recruits, who have demonstrated a general level of performance above the norm, and who possess superior skills and abilities in written and verbal communications. Those officers selected to be Field Training Officers attend 40-hours of classroom instruction in strategies and skills of field training using the San Jose model. The Oneonta Police Department Commercial Vehicle Enforcement Unit(CVE) consists of only Officer Wesley Buchanan. Officer Buchanan underwent 80 course hours of classroom and field training with the Federal Motor Carrier Safety Administration to become certified. In addition to the class room training, he was required to complete 32 road side inspections with an Alabama State Trooper assigned to the motor carrier division to finalize the certification. This training included every aspect of commercial motor vehicles (CMVs). These specially trained officers are given the duties of inspecting commercial vehicles to ensure federal law and regulations for safety are being complied with. Due to the complexity of dealing with commercial vehicles he also responds to any crash that involves a commercial vehicle to assist with investigation of the accident. He is available on an on-call basis and works side by side with the patrol and investigation divisions to accomplish a common goal. In Commercial Vehicle Enforcement safety is the number one goal. Inspections of CMV's primarily involve driver and equipment inspection, transportation of hazardous material and detection of overweight or oversized vehicles. CVE officers conduct physical inspections of commercial vehicles and their payload for conformity to size, weight, securement and load restrictions; safety and mechanical requirements as determined by federal and state regulations. CVE officers are also responsible for the inspection of the CMV driver records for conformity to licensing, log book, hours of service and permits. CVE officers conduct various safety inspections on CMVs and often put unsafe vehicles out-of-service until repairs can be made or the driver comes into compliance with regulations. 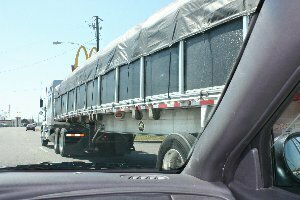 Inspections are supplemented by enforcement activities focused on serious moving violations committed by CMVs. The increased enforcement by the CVE officer helps to protect the City's infractructure and the safety of the motoring public. Return it in person to the Oneonta Police Department.